"[Lauren is] 'very knowledgeable, experienced and insightful.' Her ability to 'strike exactly the right tone in explaining what processes involve' is particularly highlighted." A member of the White Collar and Corporate Investigations team, Lauren Resnick focuses her practice on white collar and commercial litigation. A former assistant U.S. attorney for the Eastern District of New York, Computer Crimes and Intellectual Property Section chief, and two-time recipient of the Department of Justice (DOJ) Director's Award for Superior Performance, Lauren is regularly retained by executive management and audit committees of Fortune 500 corporations to conduct internal investigations on Foreign Corrupt Practices Act (FCPA), anti-money laundering (AML), trade sanctions and Office of Foreign Assets Control (OFAC), securities fraud, accounting, and employment matters, and to advise on regulatory compliance issues. In advising and defending companies on these matters, she leverages her experience directing numerous monitorships in connection with BakerHostetler's appointment by the Department of Justice and other governmental agencies to assess compliance at banking institutions, labor unions, corporations and municipalities, as well as her extensive trial experience. 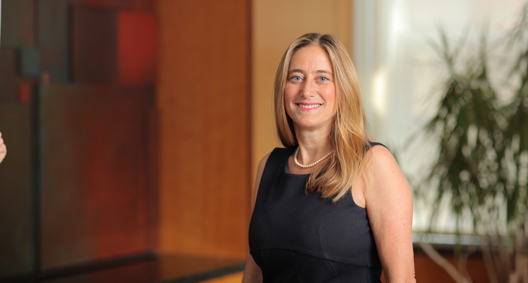 A member of the BakerHostetler team serving as counsel to the Securities Investor Protection Act (SIPA) Trustee for the liquidation of the largest Ponzi scheme in history, Lauren supervised the extensive financial reconstruction of the decades-long operations of Bernard L. Madoff Investment Securities LLC for the ongoing liquidation and litigation proceedings. Lauren serves as the firmwide client relationship partner, providing guidance and direction to ensure that the firm is focused on identifying clients' needs and developing sound solutions to maintain and increase the firm's presence in the legal marketplace. Advised a European-based manufacturing company on U.S. government access to electronic communications maintained in cloud-based storage. Primary author of a motion to dismiss based on prosecutorial misconduct that secured the unprecedented dismissal of a 73-count state fraud and money laundering indictment against the former CEO of a half-billion-dollar commercial real estate conglomerate. Directed a team and oversaw the SIPA Trustee's forensic accounting consultants in identifying and analyzing the systems and procedures utilized by Bernard L. Madoff to report fictitious trading. Was a core member of the strategy team supervising the global investigation and litigation of hundreds of actions seeking recovery of fraudulent transfers for equitable distribution to the defrauded customers filed by the Trustee in the United States Bankruptcy Court for the Southern District of New York against financial institutions, money managers, insiders and sophisticated investors. Supervised a team enforcing a consent decree requiring the eradication of organized crime influence at an operating engineers union, providing oversight to ensure fair job referral and election procedures in connection with the firm's appointment as the ethical practices attorney for Local 14, 14B. Conducted a comprehensive investigation for an audit committee and executive management of an international financial services company regarding compliance with OFAC trade sanctions in Iran, Syria, Libya and Cuba. Analyzed AML procedures, books and records to advise the client on disclosure obligations. Conducted FCPA and securities fraud investigations for an international financial services company and advised on remediation plans. Represented an international hedge fund accountant in a Securities and Exchange Commission and U.K. Financial Services Authority investigation of accounting and securities practices. Represented a witness in a DOJ investigation of criminal kickback violations for Medicare referrals to privately managed healthcare facilities. Conducted an internal investigation of medical school laboratory research procedures to facilitate OFAC disclosure and related government contracts issues. Represented a client in criminal prosecution for wire fraud and money laundering in connection with $30 million of escrowed funds. Obtained a favorable disposition following the successful litigation of key evidentiary issues for trial. Represented a senior sales executive in connection with a multijurisdictional criminal antitrust investigation of auto parts manufacturers by the DOJ and the European Commission, analyzing criminal and civil exposures. Represented a senior government official in Iqbal v. Ashcroft involving constitutional and statutory challenges to the detention policies following the Sept. 11 terrorist attacks, resulting in a favorable U.S. Supreme Court ruling on the pleading standards required to bring actions in federal court. Managed a team assessing a bank's global compliance on data privacy, government contracts, FCPA and other regulatory compliance matters in connection with the firm's appointment as the monitor of a non-prosecution agreement between the DOJ and Mellon Bank N.A. Supervised lawyers and forensic specialists reporting directly to the government and banking regulators on the bank's anti-money laundering compliance program in connection with the firm's appointment as the independent examiner of a non-prosecution agreement between the DOJ and the Bank of New York. Managed a team of lawyers and forensic specialists assessing the review of complex structured finance transactions and providing recommendations to senior management in connection with BakerHostetler's appointment as the monitor of a non-prosecution agreement between the DOJ and Merrill Lynch & Co., stemming from the Enron probe. Directors & Boards: "Dos and Don'ts For Managing a Monitor"
Spearheaded the DOJ's global initiative to combat electronic crime. Lead prosecutor in high-profile civil rights cases and organized crime and business fraud prosecutions. Prosecuted Lemrick Nelson for the racially motivated fatal stabbing of Yankel Rosenbaum during the 1991 anti-Semitic riots in Crown Heights, Brooklyn. Prosecuted NYC police officers for the 1997 sexual assault of Abner Louima.